Is your lawn blighted by unsightly yellow and brown patches? Are you tired of gazing enviously at your neighbour’s lush green pasture, wondering where you went wrong? Look in your local garden centre and you will find row after row of fertilizers, all promising to transform your barren land into a verdant meadow. However, they can be an expensive option, and the sheer selection is enough to bewilder the most experienced gardener. Lawn care can be a tricky business. Sometimes, when it comes to nature, it’s best to go back to basics. And you don’t get more basic than the time-honoured wonder cure Epsom Salt. Salt on My Lawn, Are You Crazy?? The thought of putting salt on your grass may seem counterintuitive. Indeed, put a layer of regular old table salt on your ailing lawn and it will probably kill it altogether. So, what makes Epsom Salt different? First off, Epsom Salt is technically not a salt at all. It is a mineral compound of magnesium and sulfate, and although it has the same granular consistency as table salt, it is not suitable for human consumption. Bad news for your food, but great news for your lawn! Epsom Salt can benefit your garden in several ways. Magnesium is vital for seed germination and the production of chlorophyll, which will help your lawn to flourish. It also improves the absorption of crucial fertilizing minerals such as phosphorous and nitrogen, meaning your grass will be able to draw more nutrients form the soil. The sulfur also aids chlorophyll production and amplifies the effectiveness of the soil nutrients. 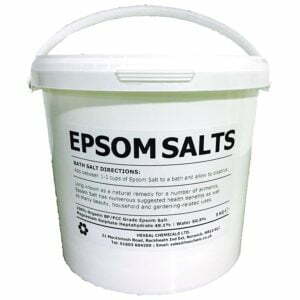 A safe and natural fertilizer, Epsom Salt will help to balance the PH of your soil. Inexpensive to buy, it acts as a tonic, elevating your lawn to green glory. Spread Epsom Salt directly on to your grass, or in diluted water the next time you mow your lawn. If scattering on the lawn, 3 pounds of salt per 1250 square feet should suffice. For dilution, 2 tablespoons per gallon of water will make the perfect fertilizing solution. You should never apply Epsom Salt to a dry lawn, always dampen the grass first. It’s also a good idea to avoid heavy use during the hottest summer months, as this can stimulate weed growth. 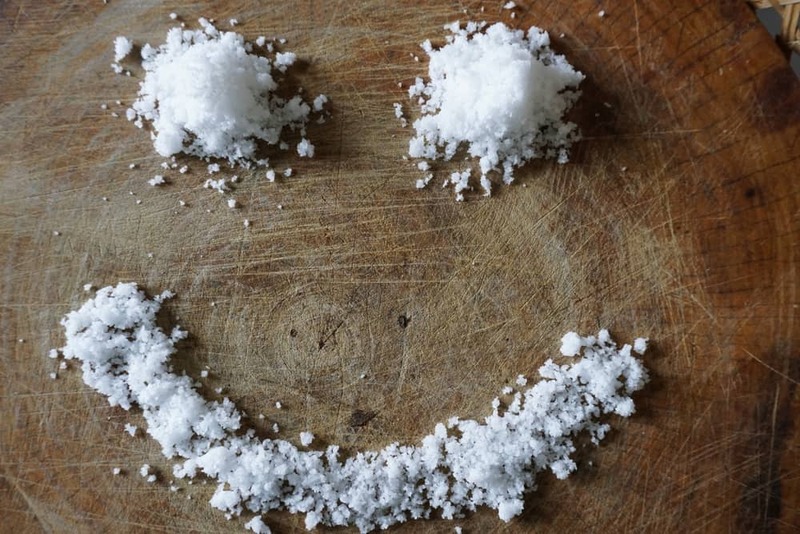 So, it turns out that your granny was right, Epsom Salt really does cure all ailments! The next time your lawn needs a little pick me up, why not go for the cheaper, more natural option? Your lawn will be thriving in no time!